Did Shakespeare write ‘to be or not to be’ to incite hundredths of years and countless pages of literary criticism? No he wrote it give the audience an insight into his character. To show us how the character was feeling. So why do we need to obsess? Is it so rare that the human specimen is analysed philosophically that we need to analyse poetry or prose? Or is it that such a brilliant portrayal of the human condition would be lost on straightforward understanding? I would have to agree with the latter. However, that said, why do we need to critique them? Is it not enough to just enjoy them in the performance? As writers we portray the world as we see it or as we wish to see it. It is on those grounds that we inevitably succeed or fail. Further, for a creative vision to reach its peak; it does need to follow certain well-known structures. But, why do I need to obsess over how other peoples’ work uses them instead of just enjoying the story? I think I need to take a step back for a moment sometimes and enjoy reading as a reader and not as a writer. 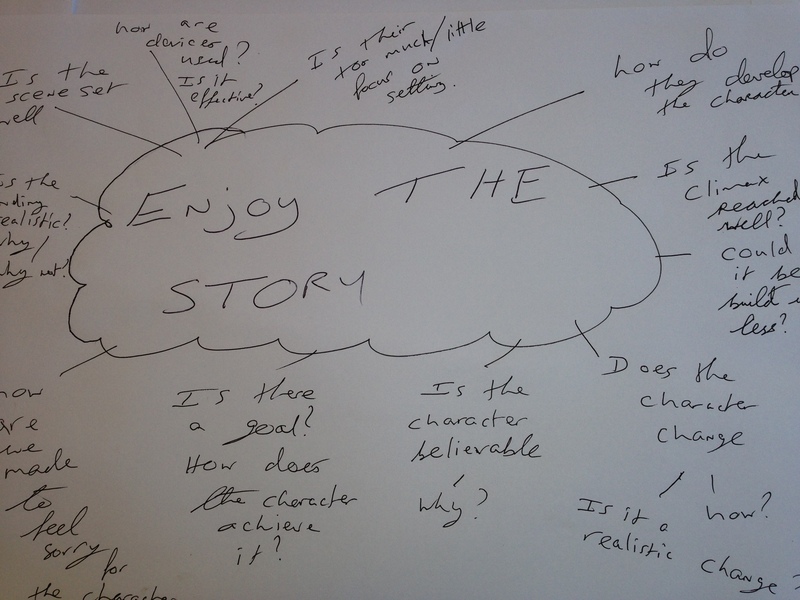 I need to re-learn how to enjoy the story instead of immediately critiquing and categorising it. After all it’s the reason every story was ever written. I think you are absolutely right here! I find myself spending too much time analysing and not enough writing at the moment! I think that you are absolutely right. Studying literature can get in the way of writing it!